This family photo calendar can be made by your second grader! 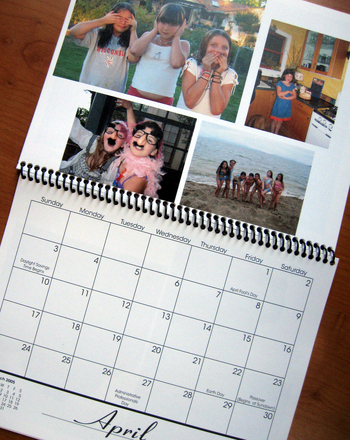 Making a family photo calendar is a great activity to prepare your family for the coming year. This family photo calendar craft gives your child an opportunity to reflect on the past year and to make plans for his near future. This particular family photo calendar calendar will feature your child's favorite family photos, making it an ultra-special keepsake for family members! It will also assist your little one in remembering the order of months, the dates of specific holidays, and even when important birthdays fall. Make a family photo calendar with your child to celebrate another year together. Printouts of blank calendar grid pages — try our printable versions! Print a monthly calendar template for the next year, such as the one provided above. Print it out on white paper to use for the calendar. Instruct your child to use the glue stick to glue each printed month to one piece of colored card stock. Have your child put the months in order as they would appear in the calendar. When he is done, December should be on the bottom of the pile with January on the top. Ask your child to use the three-hole punch to punch holes in the top of each sheet including the 13th sheet, which will be used for the front cover. 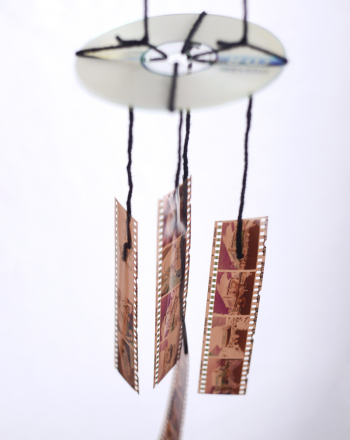 Help your child slide three small metal rings through the holes to attach all the sheets of card stock together. Pull out your family photos for your child to look through. As you are both looking through the photos, you can spend a little time sharing with each other what you remember was happening in the photos. Encourage your child to pick out one photo for each month. Encourage him to pick photos that go along with each month's theme. For example, he can pick a picture form the previous year's Thanksgiving to use for the November page. He can pick out a picture of the family going to see fireworks for the July page. Open the calendar so that the back of the front cover and the month of January are visible. Instruct your child to use the glue stick to glue the picture she chose for January to the back of the front cover. Allow your child to use the craft supplies that she picked out to decorate the sheet around the photo. Encourage her to get as creative and colorful as possible for this part! Continue through the calendar until all the pictures are matched up with their appropriate months, and your child has done all the decorating that he wishes! Have your child pick out his favorite family photo to glue on the front cover, and then decorate the cover with other art materials. Go through each month of the calendar and help your child decide what events she wants included in the calendar. For example, you can write in the birthdays of each family member, all the major holidays, and any other important family dates. Once the new year starts, hang the calendar where the whole family can see it, and allow your child to flip over the page each month! Give your child the spotlight for a moment each month, and have him take a minute to explain why he chose each particular picture and go over any important dates that fall within that month.